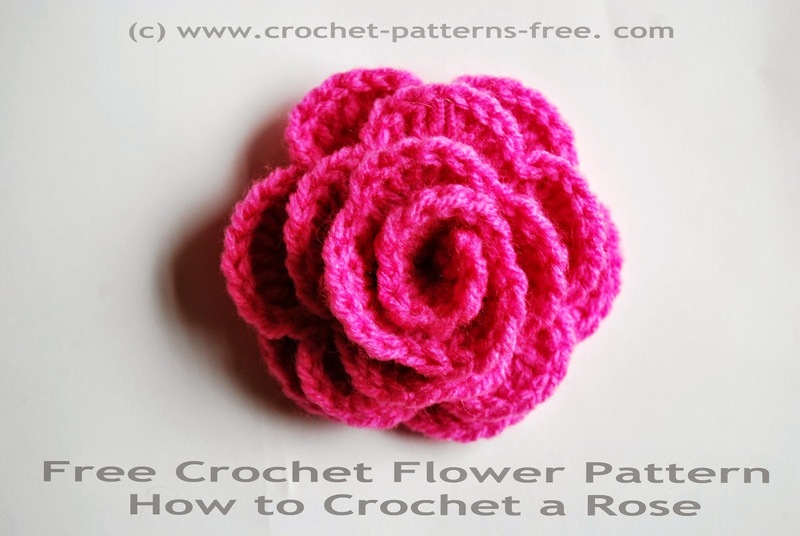 Free Crochet Flower Pattern How to crochet a rose. 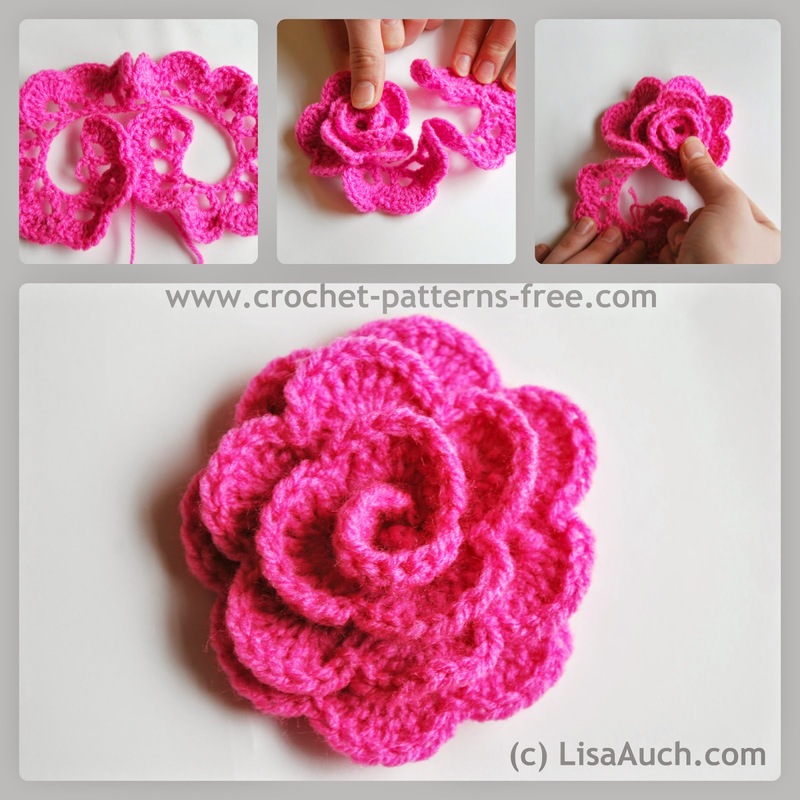 This is a very beautiful but easy crochet rose flower pattern, makes anexcellent crochet applique for headbands or hats. 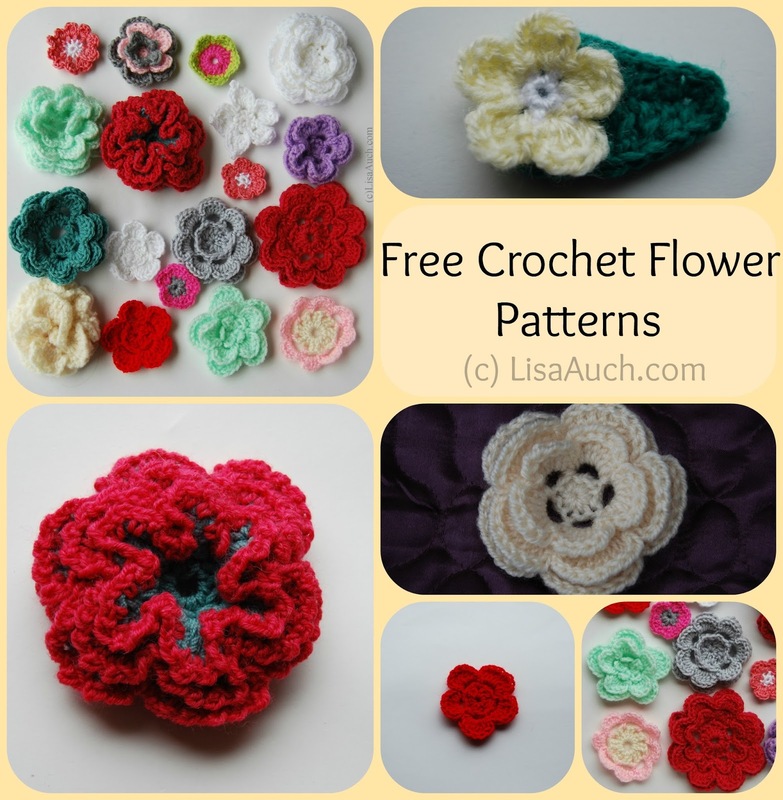 Great yarn stash busting project and you can make a garden full of beauitful crochet fowers. 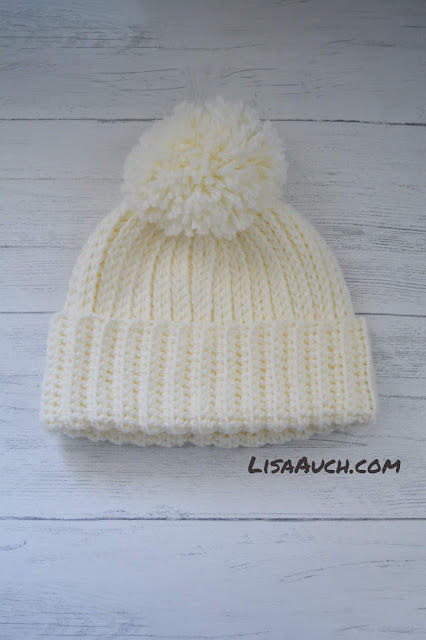 My neices love that I can make them a headband with a crochet rose super quick, so its a great quick easy crochet project, the kids love making a simple chain to go around their heads, whilst I crochet the rose to add to it. Leave at least a 10" length for sewing, chain 57. Row 2: Ch 3, turn; 5 dc in next ch-2 sp, sc in next ch-2 sp, (6 dc in next ch-2 sp, sc in next ch-2 sp) 5times, (9 dc in next ch-2 sp, sc in next ch-2 sp) 6 times, (10trc in next ch-2 sp, sc in next sp) repeat until end, finish with a 10trc, leave a 10" length for sewing. With right side facing and beginning with first petal made, start to roll the rose, to create the shape, at this point you can make it as tight or as loose as you want, just make sure you secure it at every petal Then thread needle with ending yarn and sew to secure. I like leaving a long tail so I can attach in the same color to whatever crochet project it is going on.